Photograph by Gwenn Dubourthoumieu. 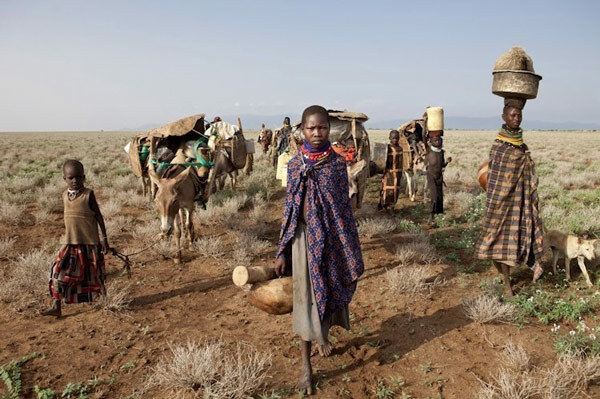 Following the raid, the three camps attacked around Nanam must migrate separately, making them more vulnerable. 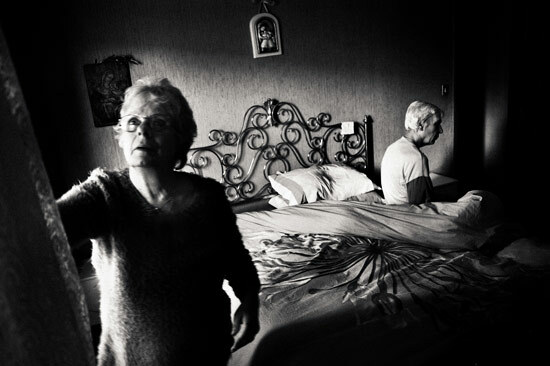 Photograph by Gwenn Dubourthourmieu. 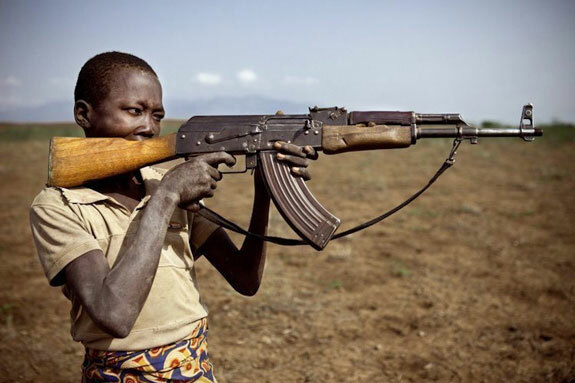 Having obtained a rifle, the young Turkana man must prove that he became a man by participating in a raid.